Displaying 1-20 of 81 events. Treat your amazing staff to the 6th annual Administrative Professionals Day Breakfast, presented by Mills Office Productivity! Guests will be spoiled with a delicious hot buffet breakfast, amazing door prizes, and a presentation from our keynote speaker Diane Bourett from 3 Green Lights. Keynote Speaker Diane Bourett is a Certified Professional Co-Active Coach (CPCC) with the Coaches Training Institute (CTI) and Associate Certified Coach (ACC) with the International Coach Federation (ICF). With over 20 years of experience in municipal government and forestry, Diane's business focus is Organizational and Individual Coaching, Training and Human Resources Services. Are you looking for a Queer community event? PG Queer Cafe is a gathering of LGBTQIA+ people who meet the last Wednesday of the month in a relaxed and safe atmosphere. The purpose of the PG Queer Cafe is to provide a space that is welcoming to all people under the rainbow and are seeking a community. If you are uncomfortable in social settings but still want to come, please feel free to message the event prior and come a little early to get settled in before everyone arrives. Please keep in mind that we must clear the space out at 6:30 pm so that the Cafe Voltaire Staff can go home for the night. Come join us climb the cutbanks and help conquer cancer! All the funds raised stay in our community and help to keep the Kordyban lodge up and running! Bel Canto Choirs presents a British Invasion Concert! Join our Juniors, Youth, and Northern Voices as they harmonize and add their own touches to a very diverse English repertoire from as early as Thomas Tallis to as recent as One Direction! This will be a great send-off for our Youth Choir traveling to London, England for the London International Music Festival in July 2019! Tickets are $15 for adults and $10 for children. Check out our Facebook page and Website for more details! Climb for Cancer is a community-based fundraiser that supports the mission of the Canadian Cancer Society. The money raised from this event will support the Kordyban Lodge. People diagnosed with cancer face many challenges. Travelling to a distant location for treatment away from family and friends can be overwhelming. A stay at the Kordyban Lodge helps a person being treated for cancer feel supported, informed and empowered. The Lodge has a range of amenities and services, including 3 meals a day, WiFi connectivity and a wig and breast prosthesis bank to meet the needs of cancer patients. There is easy access to information and referrals to Canadian Cancer Society support programs, such as Cancer Connection. Staff are on-site 24 hours a day to provide help. Please come join us as we Climb for Cancer! Community members are invited to this special event. It's never too soon or too late to make changes that will maintain your brain health. Learn about brain health, dementia, and how to play a role in making our community dementia friendly. Come and explore how you can help people living with dementia feel included and supported. There will be two workshops, a round table discussion, and opportunities for questions. A light lunch is provided. Free to attend; donations appreciated. This is it!!! 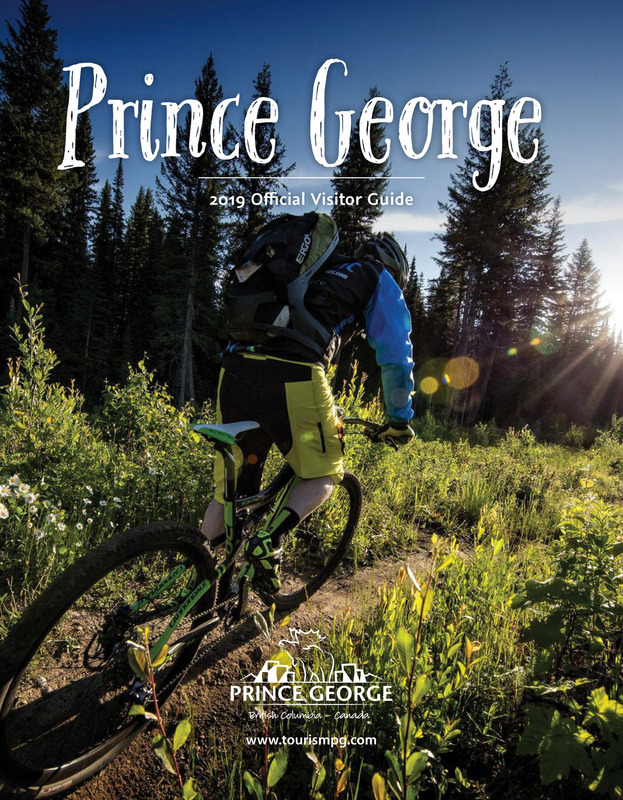 Our first Prince George show of the year! Tickets $20 in advance at Books and Co and the door. The event is designed to be a day of gathering, celebration, exhibition and sharing of knowledge for Indigenous artists from throughout North Central BC. The symposium will bring together Indigenous artists, performers, knowledge keepers, elders and educators, and will be held at the Uda Dune Baiyoh House of Ancestors Community Centre and Omineca Arts Centre. The events include opening ceremonies, exhibitions, panel discussions and workshops. A beautiful catered lunch featuring Indigenous cuisine will be provided, as well as dinner at the annual Ying'hentzit First Nations Art Gala in the evening.